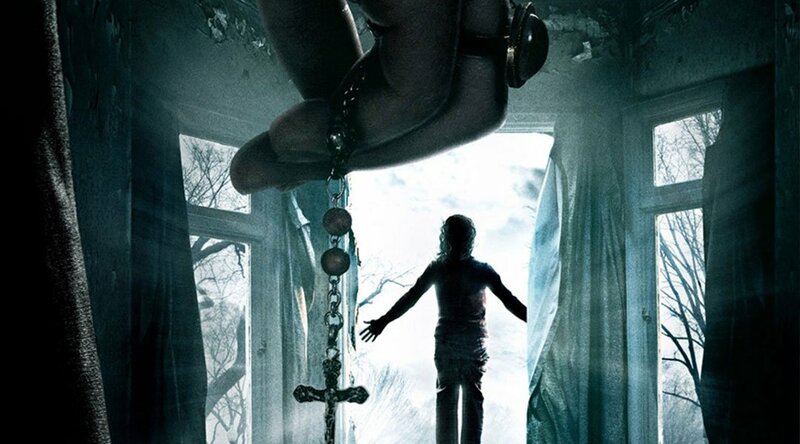 Film review Conjuring 2: I found the first Conjuring film scary, tense and very original. It scared you when you least expected it and it scared you even when you knew something was going to happen. The sequel follows the same pattern but better. This film really stuck with me after I left the cinema and that’s when I know that I’ve seen a good horror film. I loved the first Conjuring film and the second one certainly did not disappoint! It was well styled and kept you ‘on the edge of your seat’. If you liked the first Conjuring then you will certainly like the Conjuring 2. Like the first movie. The Conjuring 2 borrows from the real life case files of Ed and Lorraine Warren, two real life Ghost hunters that had the knack for finding out the truth about these spirits and strange happenings. The Conjuring 2 is based on The Enfield Haunting in England, London and has the distinction of being one of the most documented cases in the area of the paranormal. It all starts when one of the young girls experiments with a Ouija board. The next evening they begin to hear strange noises and lots of weird things start to happen around the house. This then escalates as the days pass and the family can no longer cope. It becomes all too much for them and this is when Ed and Lorraine Warren from the first Conjuring film are brought in to help. What I really liked about this movie was the nostalgic recreation of 1970s England. James Wan has really done a great job of this, The central support role of Janet Hodgson is pretty crucial to empathising with the Enfield family and Madison Wolfe gives a solid performance. The Conjuring 2 focuses its efforts on scaring the audience and it succeeds, wildly. It’s the parts where it wanders away from the basics of creating and releasing tension that prevent it from outdoing its predecessor. I found this to be an extremely successful horror film. I would definitely recommend this to anyone who likes horror or just appreciates movies.